Somebody asked about this song recently and I'd forgotten that Aviva and I recorded it back in 2011 (?) 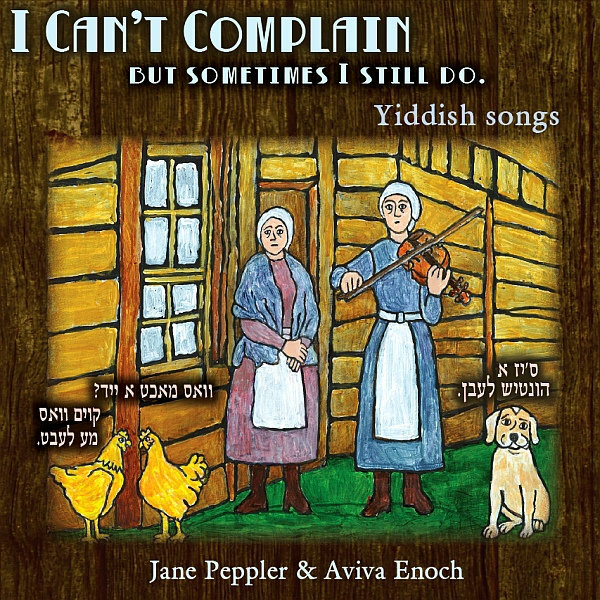 on our album "I Can't Complain but Sometimes I Still Do" (click the picture to visit the album which would make a fine Hanukkah present). It is a wonderful song from a show called Der Letster Tants (The Last Dance). 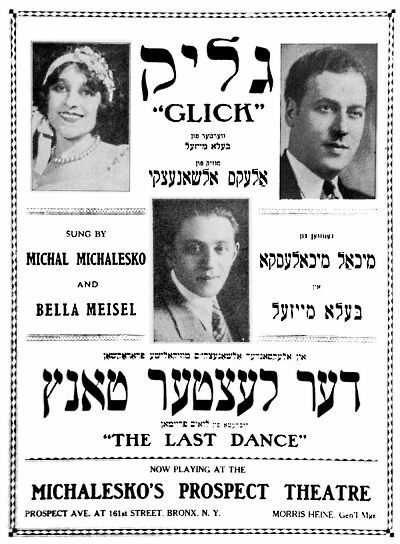 It was produced by Michal Michalesko at his own theater, and he starred with Bella Meisel, who wrote the lyrics to the song. Alex Olshanetsky wrote the haunting melody. There was a time when I was so sad only this song would soothe me and I played it and sang it to the exclusion of all others. You can read about the show at the Milken Archive. The fabulous notes by Neil Levin include the whole plot. Briefly, some guy is imprisoned unjustly and is going to be executed on the morrow, and some girl is slated to marry him for some reason, though they've never met before, and, during their one meeting on the eve of his execution, in the presence of the prison rabbi and others, they fall in love and sing this song together. But then he is pardoned by the governor the next day so there is a happy ending. I didn't know this was the back story those several years ago when pianist Aviva Enoch and I recorded the song. I thought it was about meeting your true love, your bashert, when the two of you were old and about to croak. That seemed extremely sad to me. There is a Yiddish teacher who has asked me to make videos with the Yiddish lyrics in transliteration for his students who could not read the alef beys. So here's another one for him, this time I included both. Lyrics in translation and transliteration after the jump. Now I'm standing and thinking: What a powerful hold fate has over everyone! Here it jokes, there it becomes furious. It can punish you and also bless you. I would free you now, also help your life begin again, and I'd pray for your happiness. Luck, you’ve come to me, but a little too late. Happiness, you came and filled my heart with such joy. Right now I don't want to think at all about what tomorrow will bring me. ... and I dance the last dance with you.